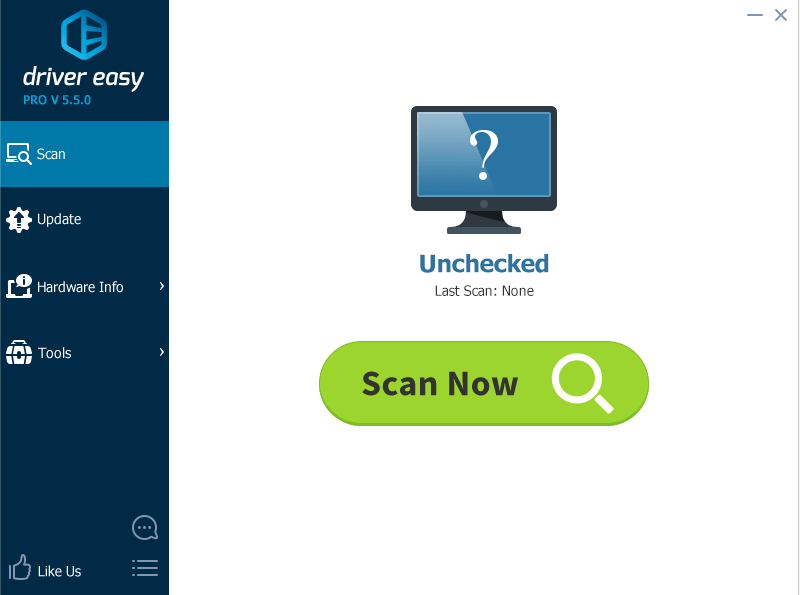 After a rather long time of preparation, we are here presenting to you Driver Easy 5.5.0, with brand new flat-design interface! To see what exciting new features that we are bringing you, please read along! 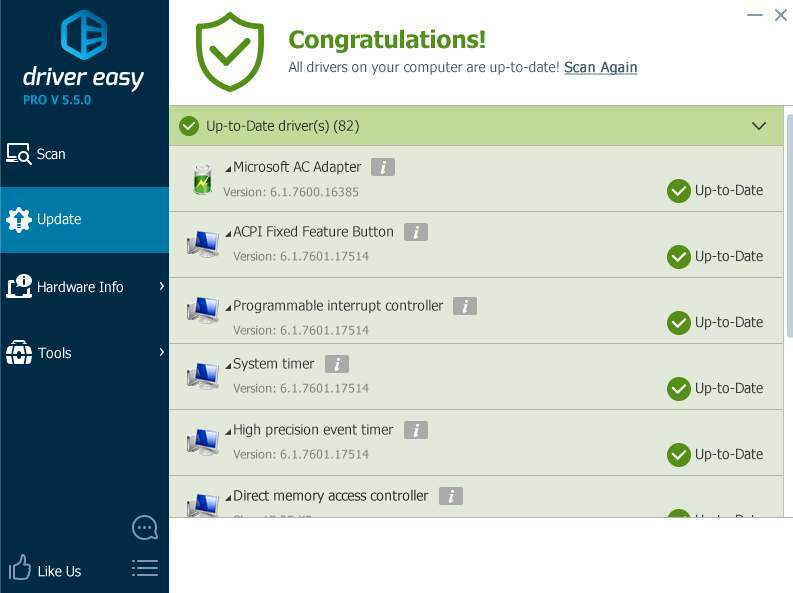 What’s new in Driver Easy 5.5.0? 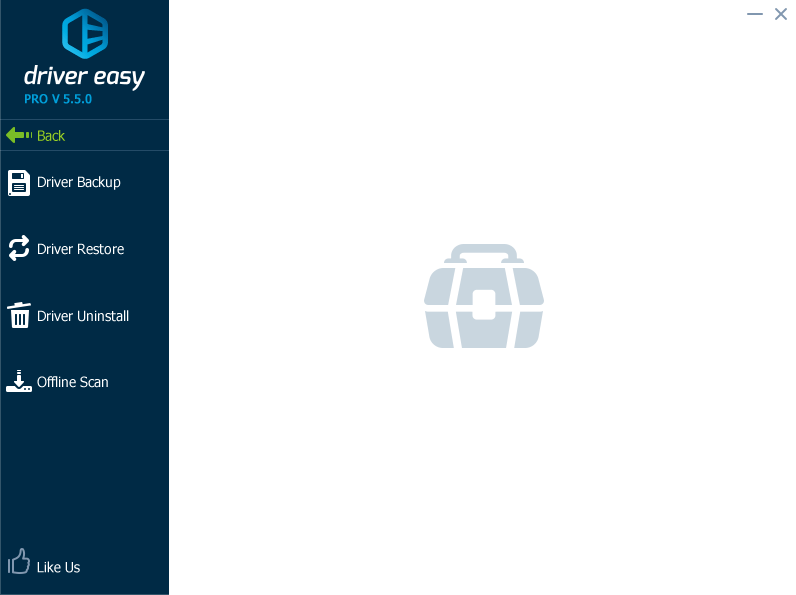 We are taking a big step on the UI design on Driver Easy 5.5.0. Flat design gives Driver Easy 5.5.0 more modern features and makes it all the more appealing. Let’s take a tour and see how fascinating the new design is! First is the Scan interface. If new drivers are detected, you can update them in the Update interface. When all the drivers are updated, here is the interface that you will see. What’s more, there is the Tools interface. 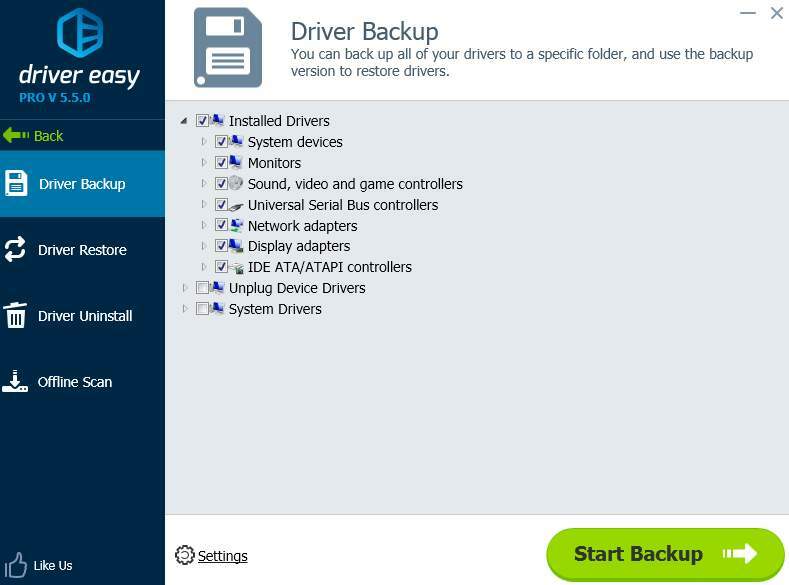 Driver Backup and Driver Restore are of great help when we are making changes to our system. Backed-up drivers ensure that you are able to restore your device drivers back to the stage where everything is alright. In Driver Easy 5.5.0, these two features are greatly enhanced in their functionalities: previous minor known bugs are fixed and more work are done to eliminate the possibility of bugs appearing again. 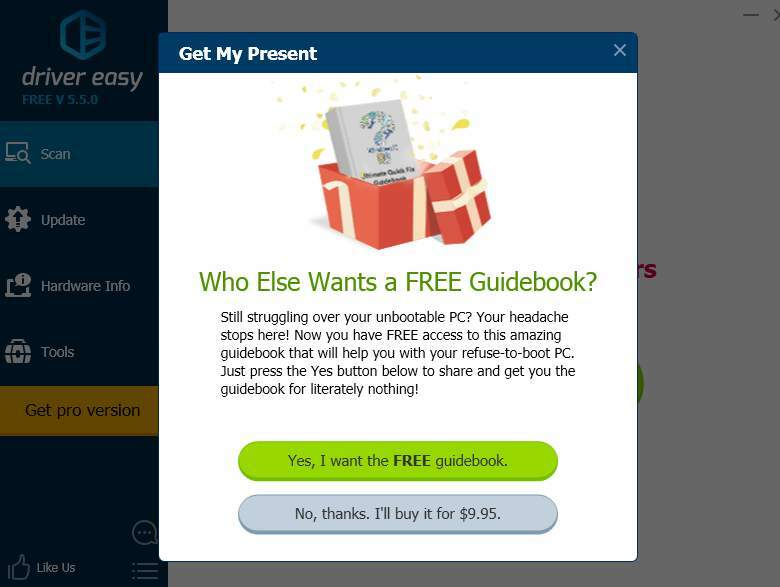 We have published a e-book The Ultimate Quick Fix (Windows 10), dedicating to helping you with annoying PC problems such as computer not starting and constantly running into blue screen of death problems. With the help of this manual, you don’t need to be an expert to solve the headaches by yourself. 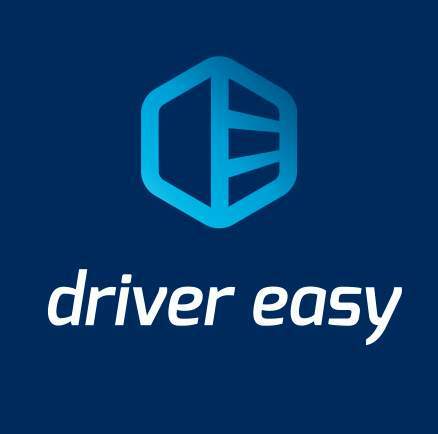 More good news to users with free version of Driver Easy, you can get The Ultimate Quick Fix (Windows 10) for FREE by just sharing your experience with your friends about Driver Easy. Tempted? 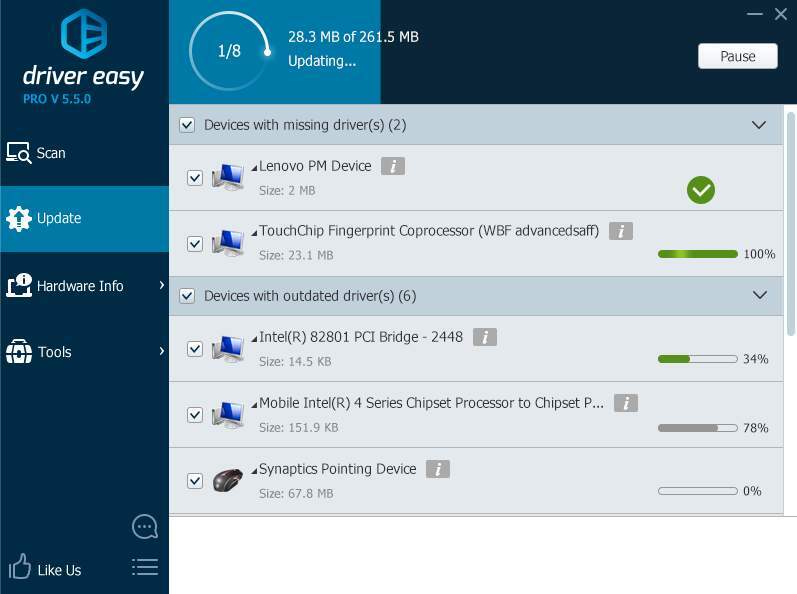 Download Driver Easy 5.5.0 and have fun now!